We’ve spent the last days dedicating our time to completing the satellite’s ‘stand-alone functional tests’, most of which are now done. This included very detailed checks to make sure the synthetic aperture radar instrument works correctly. For these tests, we gathered support from the Airbus Defence & Space team members. The tests were successful, showing that all is well with the radar. In parallel, we’ve been doing some preparations for the combined operations with Arianespace. 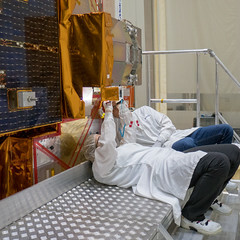 This involves checking the communication links between various buildings that will be used for the satellite before it is finally transported to the launch pad. All links were confirmed ok.
Over the past few days, our team has also been joined by Friedhelm Rostan, Gaby Denzer, Francesca Spataro, Aniceto Panetti, Toni Catalano, Corrado Farina, Fabio Ippoliti, Alessio Di Capua, Ramon Torres, Claudia Wildner, Roberta Bertoni, Luisella Giulicchi and Scott Moon. 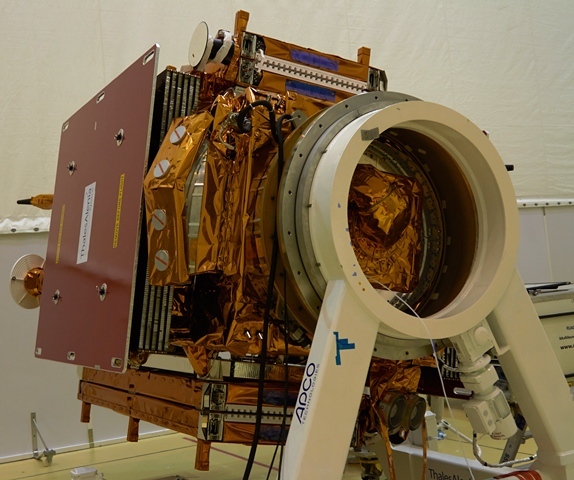 Post from Svein Lokas (ESA’s Sentinel-1A Launch Campaign Manager), French Guiana, 9 March 2014.